Related Products are perfect to keep customer on your site as well as a good SEO tool (more relevant internal links). 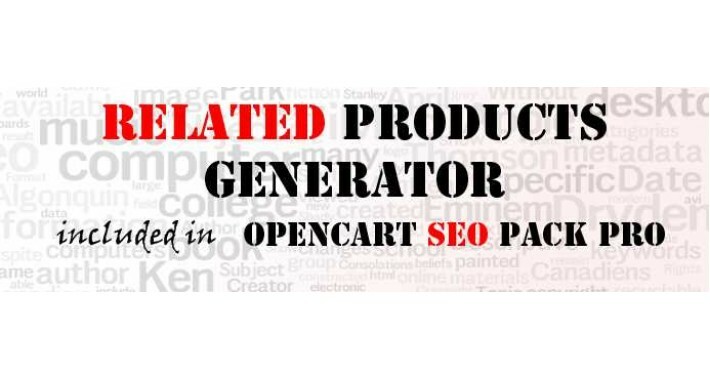 Related Product Generator, based on a complex algorithm, is a powerful tool which is very useful if you have many products and it takes plenty of time to find related products for them. In a couple of seconds, Related Product Generator will generate up to 5 related product for each product. This extension can be found in admin area Catalog -> SEO Pack.